The Longridge Longneck iron covers set fits oversized irons and features a long neck to provide excellent shaft protection. 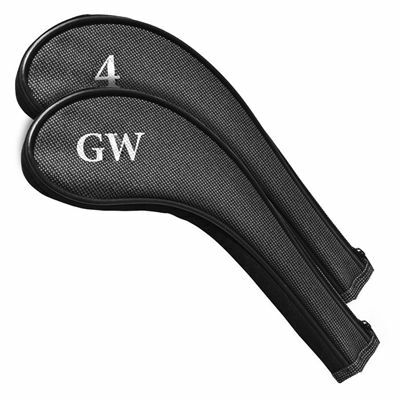 This durable 9 piece set (4-GW) is produced from a two tone black material and offers a full zip. for submitting product information about Longridge Longneck 2 Tone Zipped Iron Covers Set We aim to answer all questions within 2-3 days. for submitting product information about Longridge Longneck 2 Tone Zipped Iron Covers Set. We aim to answer all questions within 2-3 days. If you provided your name and email address, we will email you as soon as the answer is published. for submitting product review about Longridge Longneck 2 Tone Zipped Iron Covers Set.